A week of fun at Shropshire's guide and scout camp. What better way to start the summer holidays than with a week of exciting adventure? 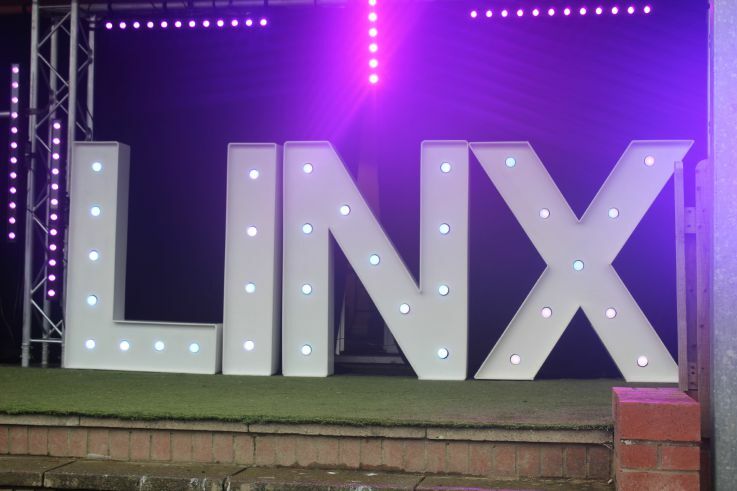 620 guides and scouts attended LINX 2015 at Shrewsbury’s County Showground 26th July – 1st August for a week of fun, excitement and adventure. Visiting units from Essex, Somerset and Ireland came to join the fun, as well as one group from as far as Belgium. Sunday’s arrival was interrupted by the sound of a helicopter – a special guest. Bear Grylls, Chief Scout spent some time meeting camp participants and further VIP guests visited throughout the week, including the Chief Guide – Gill Slocombe, who presented some awards to some of our lucky members. Opening night saw guides and scouts dancing to celebrate the opening of the camp, not letting the rain put them off! Throughout the week, challenges with the theme I’m Not a Celebrity were undertaken to establish an overall King or Queen of the Jungle, announced at the closing campfire ceremony on Thursday evening. Guides and scouts took part in “jungle” eating challenges and had to solve puzzles and overcome challenges such as a spider mountain in order to collect stars to go towards their total. Activities at LINX included climbing, canoeing and a giant zip wire, which was one of the things the organisers had been asked for after the last LINX camp in 2012. Also archery, rifle shooting, junk modelling and human table football. More photos from the camp can be seen on the LINX 2015 Facebook page.